It was announced today in Ottawa that the government intended to purchase 18 F-18 'Super Hornets' to augment Canada's fighter fleet. Canadian Defence Matters has argued for some time that one reasonable answer to Canada's fighter replacement problem was a mixed buy. A mixed fleet of approximately 60 F-18 Super Hornets along with about 20 F-35 'Lightnings' would meet Canada's need for continental defence as well as coalition warfare. Given the published costs of procurement and sustainment of both aircraft, but without detailed financial analysis, it seems likely that such a force would not cost more then the sixty-five F-35's that were envisioned at one time. A fleet like this would see the Super Hornets used mainly for NORAD duties while the F-35's would be co-located with 2 Wing for expeditionary tasks. It should be noted at this point that there is nothing intrinsically wrong with a mixed fleet. If the RCAF finds it possible to maintain mixed fleets of transport aircraft, mixed fleets of helicopters and even mixed fleets of training aircraft of mixed ownership, then it is not impossible for it to manage a mixed fleet of fighters. It is also true that there is nothing intrinsically wrong with the government "kicking the decision down the road" as some critics have characterized this recent announcement. The idea of decreasing the average age of Canada's fighter fleet is perfectly reasonable, as is the idea of hedging our bets against a still troubled F-35 program. It has been argued that the governments contention that the current inventory of F-18's is in desperate need of renewal is not true. The claim that there is a need to immediately replace the CF-18s has been undercut by some Air Force officers who have pointed out the aircraft can keep flying until at least 2025. In fact, both positions are correct. Our fighter jet fleet is aging and managing airframe hours is becoming a problem. At the same time, as any airshow patron can attest, in theory a war bird can be kept going indefinitely with enough care, attention, money, and a gentle life style. It is also true that those RCAF officers who believe that Canada is capable of first running a competition, procuring new aircraft and having them in service inside nine years have not been paying attention. What is not reasonable is the troubling idea that the government may be trying to find a way to avoid renewing the fleet entirely. 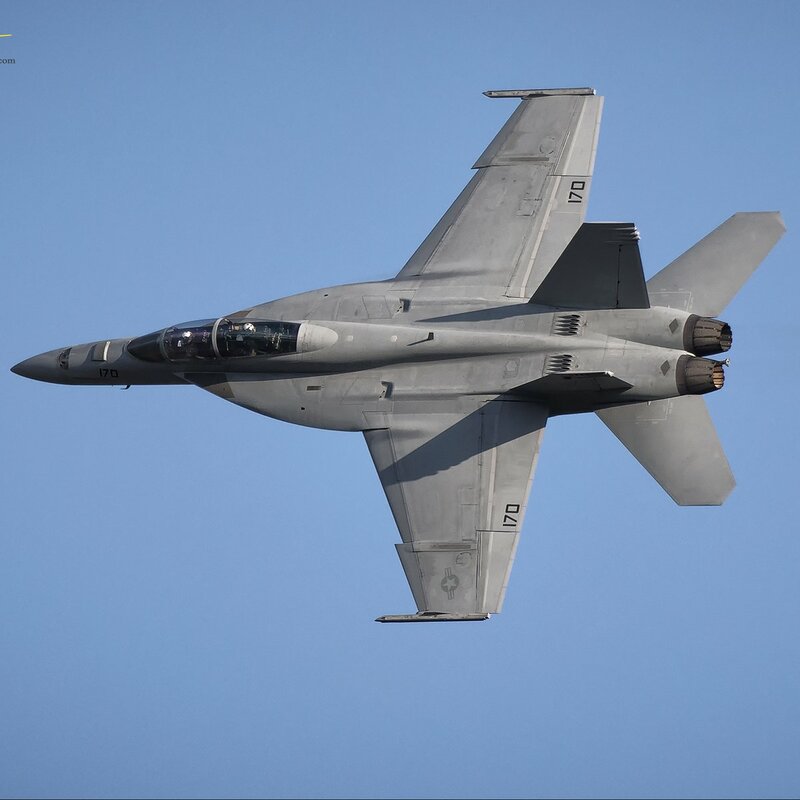 Canadian Defence Matters advocates a mixed fleet of F-18 Super Hornets and F-35's as a way of maintaining a reasonable number of fighters in service, a way of 'future proofing' our decision and a hedge against the possible failure of the F-35 program. It is not a strategy guaranteed to achieve the lowest cost of ownership. If it is the governments intention to start the process of renewing Canada's fighter fleet then this is a positive sign. If the intention is to attempt to save money by maintaining an aging fleet of CF-18 Hornets for domestic tasks with a small increment of Super Hornets for all extra-national tasks then it is a recipe for failure. The future of Canada's fighter force has started, as with all military decisions, the outcome will not necessarily be what is expected. CANADIAN DEFENCE MATTERS IS PRODUCED BY J.G.MURRAY, A READER, WRITER, BLOGGER, AND PHOTOGRAPHER OF ALL THINGS MILITARY. COMMENTS, SUGGESTIONS, COMPLAINTS & CRITICISMS CAN BE ADDRESSED TO canadian.defence.matters@gmail.com WHERE THEY WILL RECEIVE THE ATTENTION THEY DESERVE.